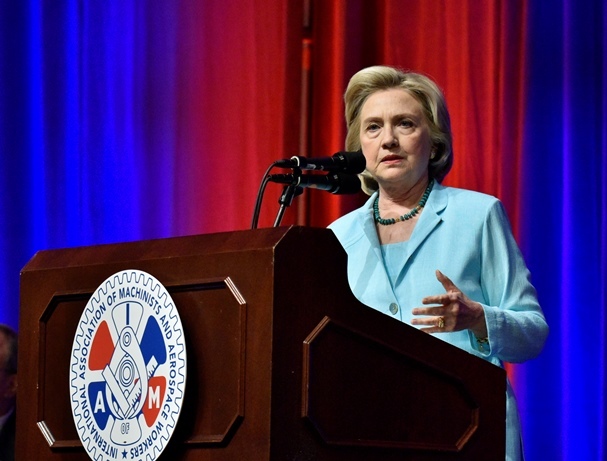 The Machinists Union welcomed the announcement by former Secretary of State Hillary Clinton that she will oppose the deeply-flawed and secretly-negotiated Trans Pacific Partnership (TPP). Representing nearly 600,000 active and retired members across North America, the IAM was the first major industrial trade union to endorse Secretary Clinton for President. “The IAM looks forward to working with Secretary Clinton, and others, who want to craft trade agreements that create jobs, raise wages, protect the environment, and ensure the safety of our food. Global trade agreements can be beneficial, but only if such agreements put the interests of ordinary Americans over those of multinational corporations,” said Buffenbarger.